Today was the last day for Podium Training. Anna Rizatdinova chose Michael Jackson’s music “Billy Jean” for her new ball routine, with amazing tricks. Alina Maksymenko and Viktoriya Mazur showed their expression and junior group performed an amazing 5 hoops routine, using “Voodoo People” music, like Anna Bessonova and also Senior Group used almost 10 years ago. Russian group did not make big mistakes at their training. Yana Kudryavtseva has a new music for her ribbon music “Padam”. Margarita Mamun performed twice her ball routine and Darya Svatkovskaya was more clear than yesterday. Bulgarian junior team made several mistakes, but they were better at second round. Silviya Miteva was very regular in all routines. Mariya Mateva had problems with her ribbon routine. Melitina Staniouta was very concentrated today. Whole team both individuals and group did clear routines. Israel looks very strong, like Azerbaijan. Lala Yusifova performed an incredible ball routine. Mariana Vasileva kissed her after this routine. Spanish group was much better than yesterday. 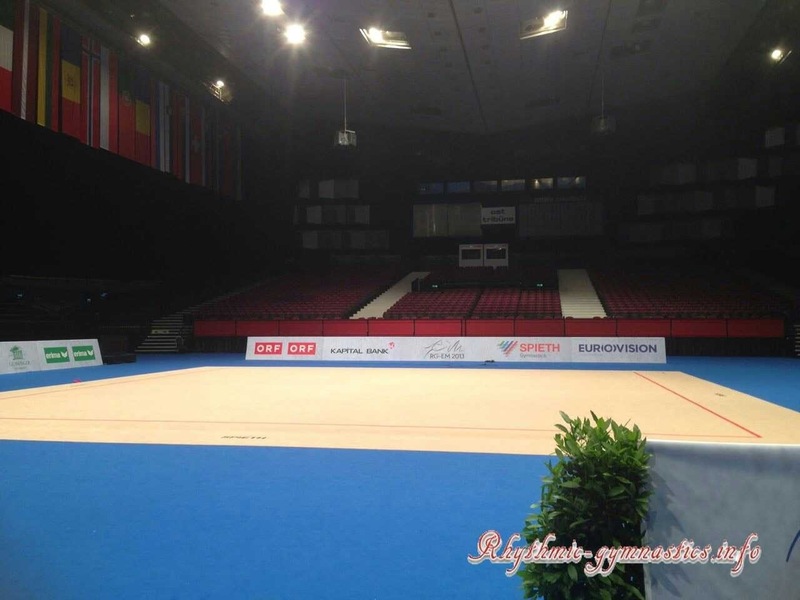 Carolina made mistakes with her ribbon routine, Eugenia Onopko had little problems with her ribbon routine aswell. Natalia García made 2 perfect routines: hoop and clubs, but she missed a catch in her ball routine.